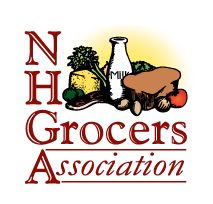 The New Hampshire Grocers Association Board is comprised entirely of the leaders of our member organizations. Our Board is actively involved in shaping NHGA’s priorities and policy. NHGA’s Board Members contribute heavily to the association through involvement in issue-specific councils, committees and working groups. Our committees provide invaluable guidance on important NHGA issues in three main categories: Government Affairs, Industry Affairs and Regulatory Affairs. Yes, send me News & Food Report advertising rate sheet and ad specs. News & Food Report is the official monthly communication published by New Hampshire Grocers Association (NHGA). 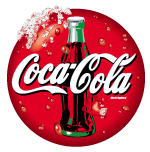 The information in the News & Food Report is from sources believed to be reliable. We’ve exercised reasonable care to assure its accuracy. However, the New Hampshire Grocers Association does not guarantee that the contents of this publication are correct, and statements attributed to other sources do not necessarily reflect the opinion or position of NHGA. Articles are designed to provide timely, general information in topics covered. Special limitations prevent exhaustive treatment of special subjects. NHGA articles are not intended to provide advice or assistance with individual problems. The editor is not rendering legal advice in this publication. Readers should employ legal counsel to determine the applicability of these articles to their particular circumstances. Articles and information featured in News & Food Report may be reproduced with appropriate acknowledgement of source(s). Advertising and editorial copy should reach publication office by the 1st of the preceding month. Subscription rate payable in advance $24.00 a year. Regular issues: single copies $2.50 each. Special issues $3.00 each.